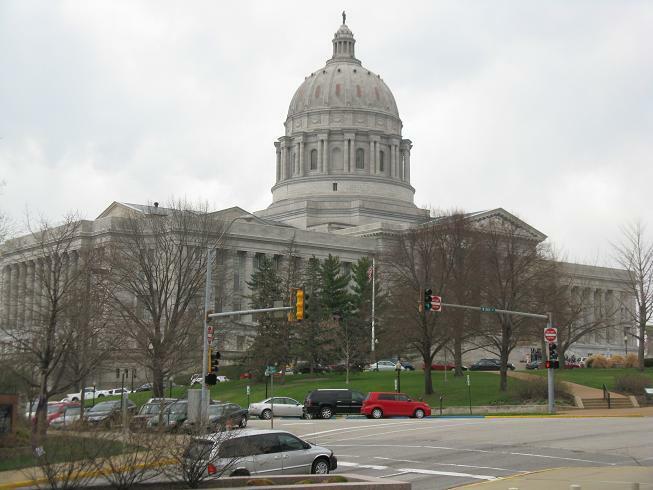 The Missouri House has given first-round approval to another workers’ compensation bill. Governor Jay Nixon (D) vetoed a similar bill last month that originated in the Senate. The House version contains most of the same provisions – it would bar employees from suing each other over workplace injuries and illnesses, and it would restore occupational disease claims within the workers’ comp system. State Rep. Jacob Hummel (D, St. Louis) debated with the bill’s sponsor, Dave Schatz (R, Sullivan). Republicans argued that victims of occupational diseases can sue the manufacturer of toxic substances, and that the bill does nothing to change that. It would also seek to fix the state’s ailing Second Injury Fund by tightening the eligibility requirements for filing claims. “We have currently about 16,000 pending cases that have not been adjudicated that are racking up interest as we speak, that are gonna be a cost ultimately at some point in time if we don’t address that," Schatz said. 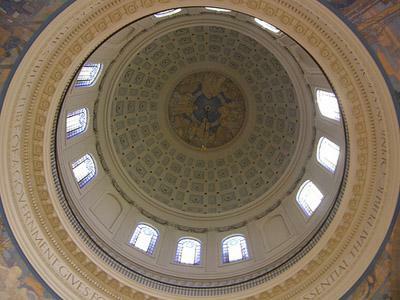 Opponents argued that removing the cap and allowing the market to determine the Second Injury Fund surcharge businesses have to pay is the only way to save the fund. The bill was perfected 81-67. It needs one more vote by the full House before moving to the State Senate. The Missouri Senate today overrode a veto by Governor Jay Nixon (D) that would make changes to the state’s workers’ compensation system. 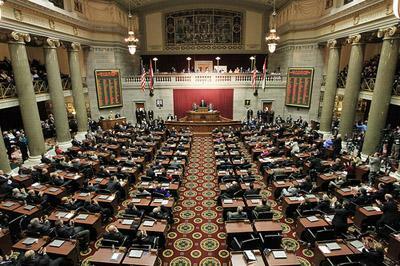 But the likelihood that the House will also override the Governor’s veto is virtually nonexistent, according to Majority Floor Leader Tim Jones (R, Eureka). He says they just don’t have the votes, even within their own party. Governor Jay Nixon (D) has vetoed two workplace-related bills passed by Missouri lawmakers this year. They are the first vetoes issued this year. First, he vetoed the House version of the workplace discrimination bill, which would have redefined discrimination as a “motivating factor” instead of a “contributing factor” in any action taken by an employer against a worker. The Senate version of the bill is still alive, however. It was sponsored by State Senator Brad Lager (R, Savannah). 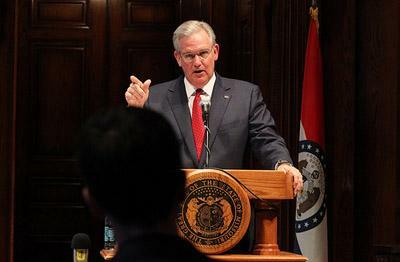 The Missouri General Assembly has sent its first bill to Governor Jay Nixon (D) this year, which would revamp the state’s workers' compensation system. The House passed the bill today, while the State Senate passed it last month -- it passed both chambers on partisan votes. The bill would bar employees from suing each other over workplace injuries and illnesses, and would restore workers’ comp coverage of occupational diseases. State Rep. Dave Schatz (R, Sullivan) argued that it would give Missouri a more business-friendly climate that would be less subject to massively expensive court judgments.